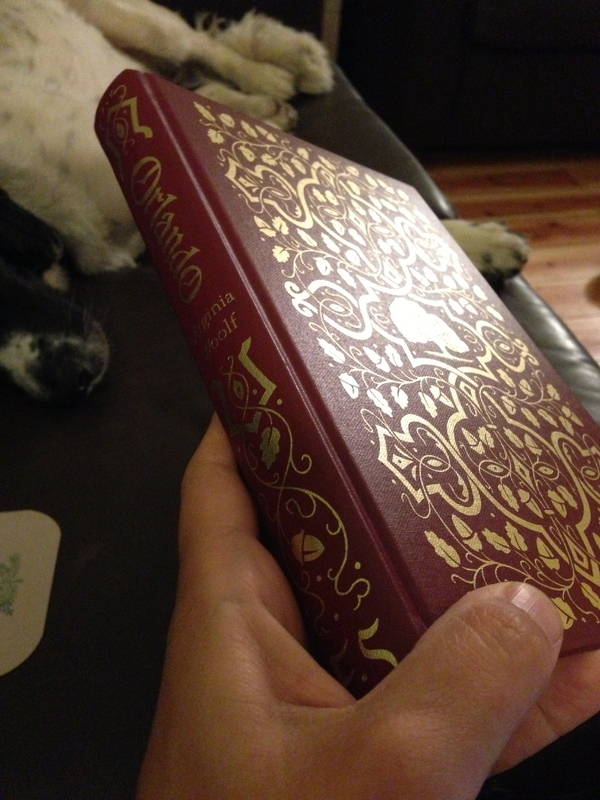 I’ve just finished re-reading ‘Orlando’ by Virginia Woolf. It always lifts my spirits to read it because it’s so funny and fun, joyful and playful (not words I often associate with Woolf, much as I love her.) I was prompted to read it again thanks to a lovely new Folio edition as you can see in the picture with the pooch lurking in the background. Reading Orlando is a pleasure. It is like sitting up all night by the fire with an old friend and a bottle of wine, where the talk is easy; whether of great things or small, and when, as morning comes, you feel better. Woolf’s books are always brilliant. This one is one of the few I haven’t read from her yet, but after reading this, that will change very soon. I’ve been thinking I should read more of her and this sounds like it will be the perfect choice. Thanks for recommending it! In one way it’s uncharacteristic because it’s such a lot of fun, but in other ways it’s Woolf through and through. Hope you enjoy it.